If you’ve been around Live Simply for long, then you know that I’m not much a frivolous kind of gal. I’m a lover of blue jeans and cute flats, simple homemade meals and easy natural solutions. Practical is the name of the game when you’re a mom living with two kids, six chickens, two dogs, and one patient man. For this reason, most of the DIYs around here are practical–dish soap, laundry soap, glass cleaner, face soap, body wash, etc. 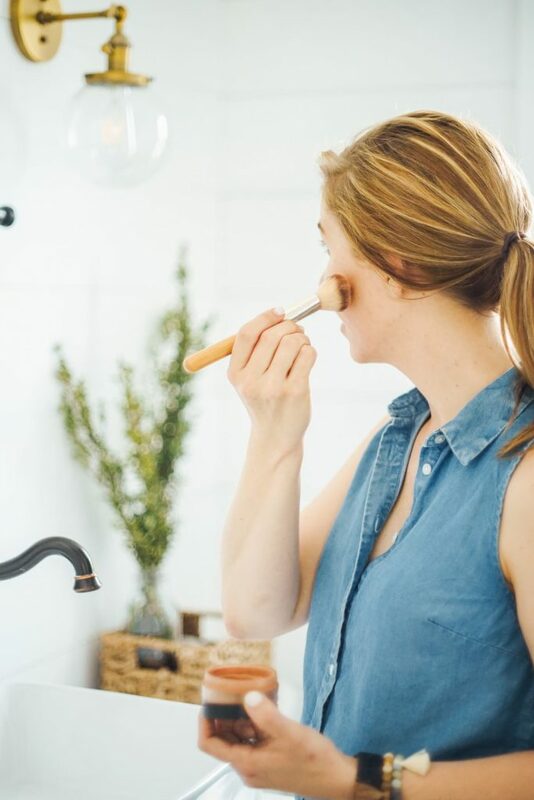 I love a good pampering, but 99.9% of my life right now is about practical necessity, maybe with an occasional lip scrub or massage mixed in–every few months. With that preface, let’s talk about a practical, fancy, and pampering DIY. 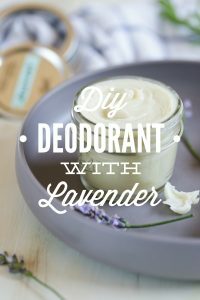 Think of this little DIY, which takes an entire 30 seconds to make, as a little touch of summer pampering with multiple practical uses. 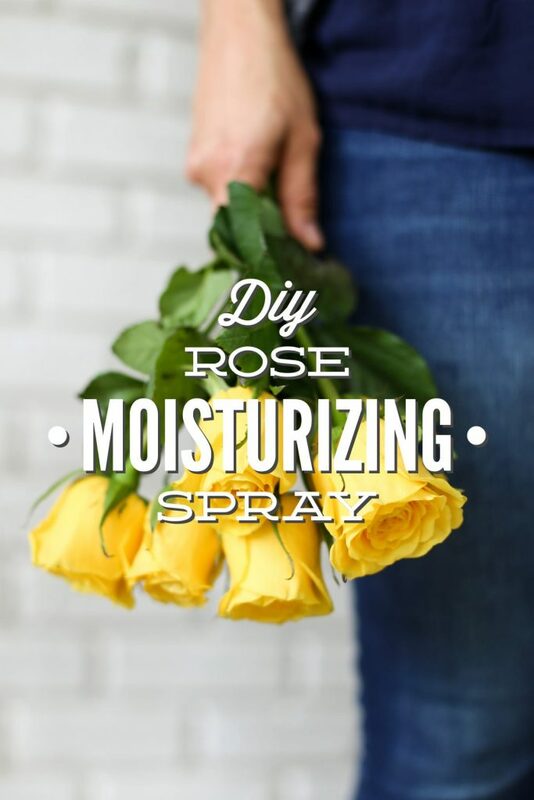 Let’s talk about DIY Rose Moisturizing Spray , shall we? Summer is the time of year when my skincare needs drastically change. My skin quickly shifts from a desire for thick moisture in the “winter” months (Florida winter) to hydration throughout the humid summer. I usually switch from my heavier skin and body lotion to a simple facial serum for light moisture. The serum sinks into my skin and provides the hydration my skin so desperately seeks. Rose Hydrosol: A hydrosol is the aromatic water that is leftover after steam distilling a plant. Hydrosols, unlike essential oils, are safe to use directly on the skin and offer many therapeutic and cosmetic benefits. 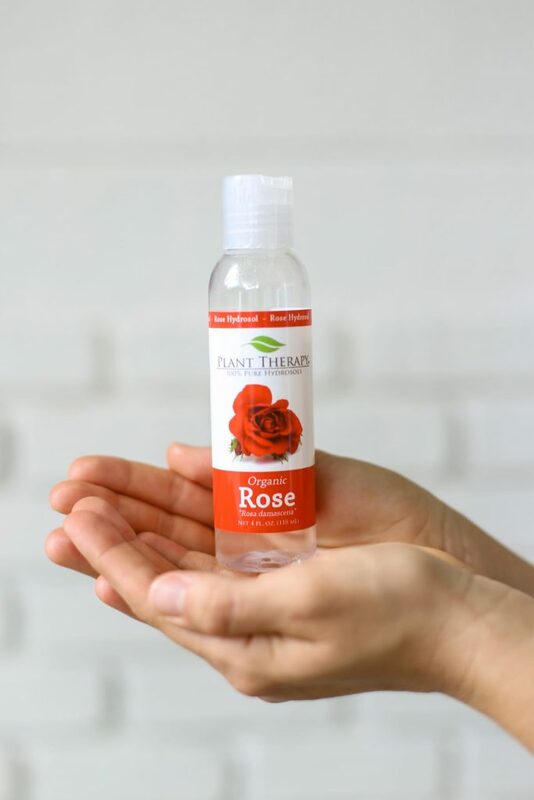 Rose hydrosol may be used as a skin toner, room freshener, deodorant, and a calming or sensual spray. 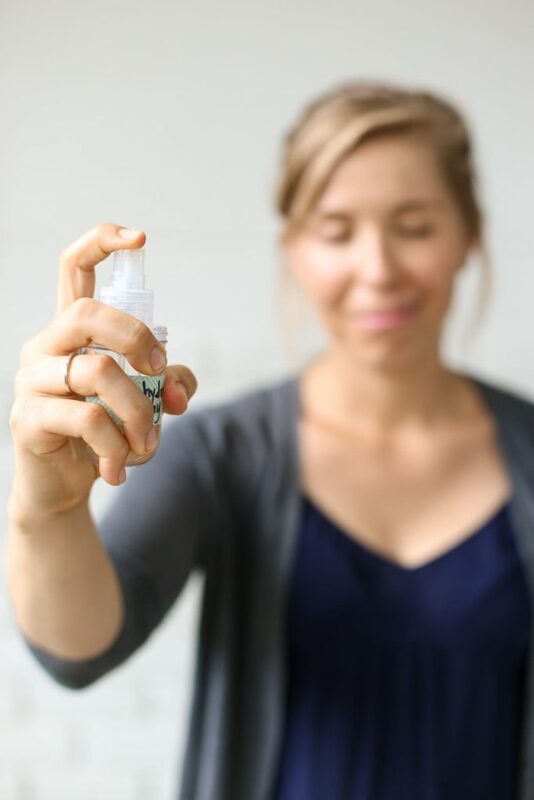 This floral hydrosol is suitable for all skin-types, making it the perfect spray ingredient to freshen the skin during the hot (and sweaty!) summer months. 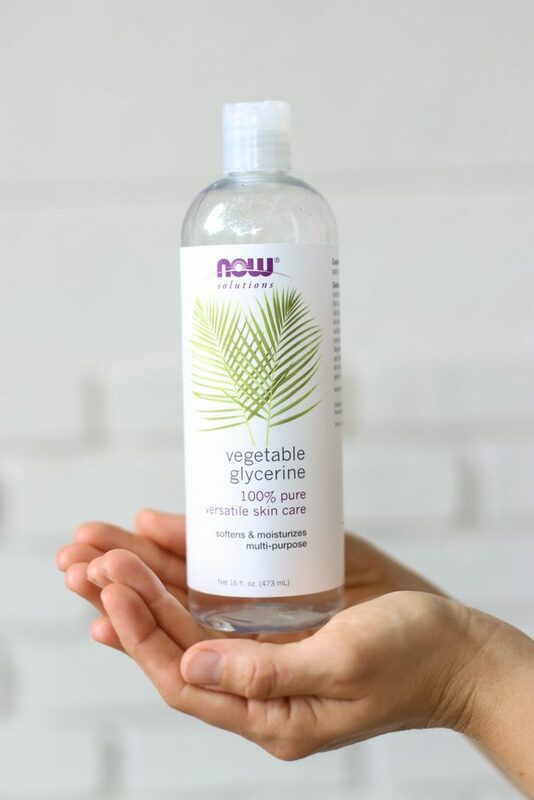 Glycerin(e): Glycerin is a thick, colorless liquid used in many of my DIY recipes (for example: bug spray and body wash). Cosmetically, glycerin may be used a cleanser, toner, or moisturizer. 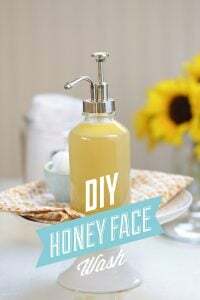 Glycerin is added to this recipe for both toning and moisturizing benefits. 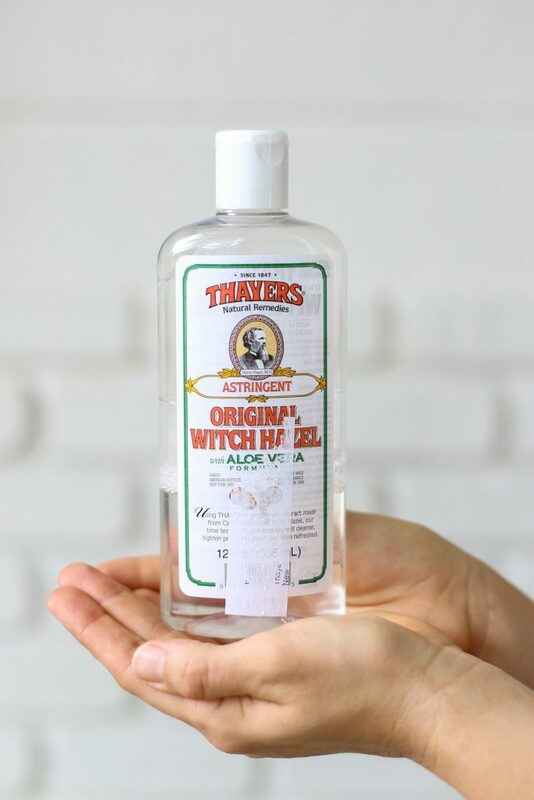 Witch Hazel: Witch hazel is a natural astringent. When mixed with aloe it may be used to soothe a sunburn, or by itself to help tone the skin. 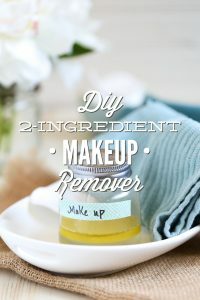 Witch hazel is added to this recipe to help tone the skin and provide a cleansing solution. I called this recipe “practical,” so let’s talk about practical application. You know, the good stuff–how to use this floral spray. 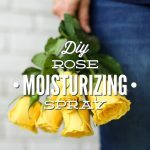 DIY Moisturizing Rose Spray is my go-to moisturizer/freshener all summer long. Go ahead, pamper yourself, practically. It feels good! 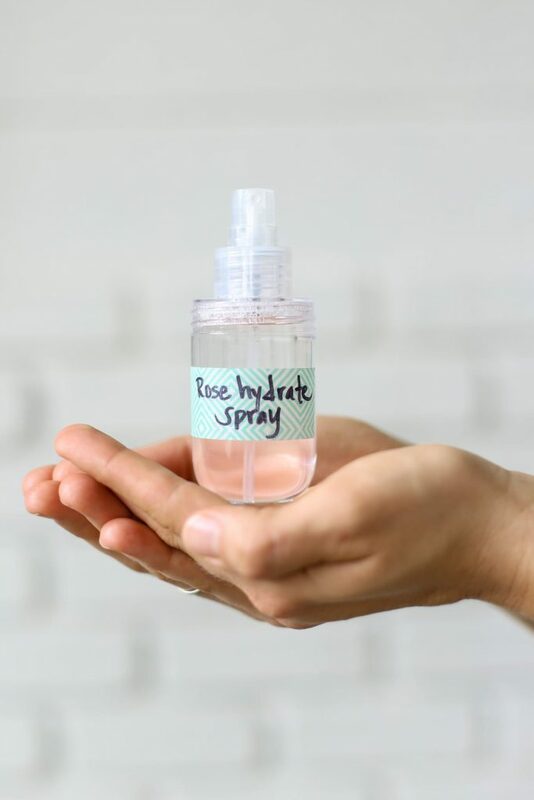 In a spray bottle, pour the rose hydrosol, glycerin, and witch hazel. Shake the bottle to combine the ingredients. To Use: Shake the bottle prior to application. Spray your face and body. This spray may be used as a toner, skin refresher during the hot summer months, and even a mid-day underarm deodorizer. I am trying this one – it sounds wonderful! Awesome, Gwen! I think you’ll love it. Hi! I love this blog and everything I’ve made from it so far! I bought rose water instead of the hydrosol, because that’s what they had at the store that I went to, and the sales person talked me into it. I also accidentally bought the witch hazel alcohol free toner instead of the astrigent. I’m not sure what the store’s return policy is, but what are your thoughts on using these items instead? Thanks! Hey Kerry, I believe the rose water may be the same as rose hydrosal (some companies call a hydrosal, “water”). 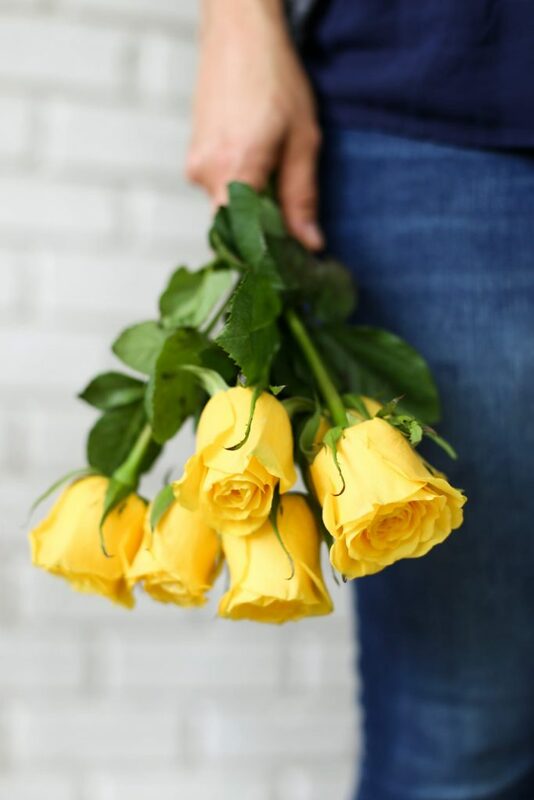 As long as the rose water isn’t just water with rose oil added you’re all good–the ingredient list is the best place to look. The alcohol-free toner should also work just fine. I believe you’re all set :). Let me know how it goes! I made this and I love it! Does it have an expiration date? Hey Jenny, The spray should last about 3 months :). Enjoy!! Can I make my own rose water using dried roses? Hey Serendipity, Yes, you can :). This is a lovely post. I stumbled upon it, and really resonate with what you’re doing. I’m making hydrosols and I absolutely love them. I am subscribing and look forward to reading more of your ideas. Hey Kerri, That’s awesome! Welcome to Live Simply!